The Xbox 360 and Kinect motion controller sold a ridiculous amount of units last week. If you're a new Kinect owner, and still have some holiday shopping to do for the kids, you may want to check out Sesame Street: Once Upon A Monster. This new video focuses on the family aspect of the game. We really liked the title ourselves, giving it a 4.5 out of 5 in our Co-Op Review. If you want to get your youngsters into gaming, but still want them active, this is a pretty cool option. 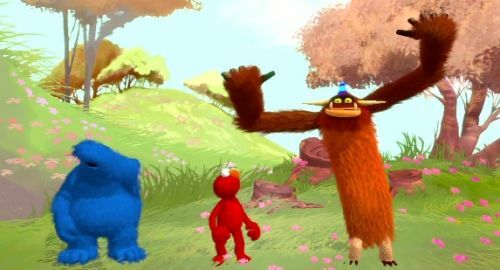 Sesame Street: Once Upon A Monster is out now for the Xbox 360 Kinect. It supports two player local co-op, but if the whole family get's involved, we won't tell. Page created in 0.3126 seconds.